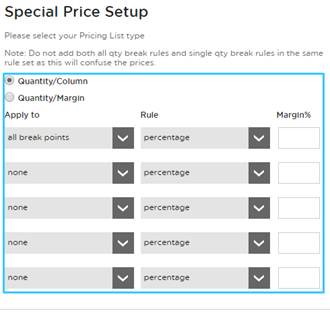 On the Special Price Setup select the type of pricing list you want then define your break points. 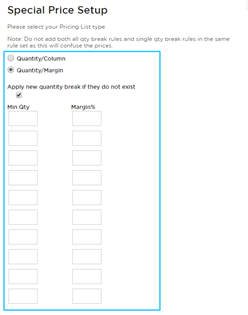 NOTE: You cannot set an ‘all break points’ rule and a ‘qty above breakpoint #’ rule on the same price list, as this will cause conflicting rules and confuse the pricing. 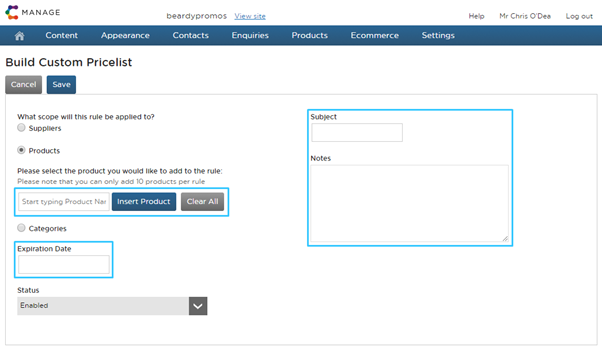 Your Sell Price Controls will now appear in the Custom Price List. From here, you can view the status of the list and edit this if necessary.